Tourists make the journey to get to the citadel on foot and on buses the administrative post of the archaeological park. Since the morning the access to the sanctuary of Machu Picchu that is located in the district of Machu Picchu Pueblo, occurred with total normality as much as for national and foreign tourists who decided to visit it during the strike of 48 that will be carried out the day of today and tomorrow. 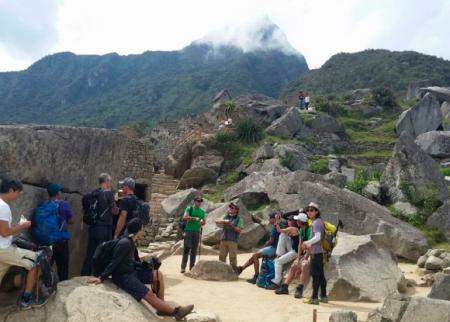 Fernando Astete, the current head of the archaeological park, confirmed to a well-known media that the income to Machu Picchu by the tourists occurred with total normality and that an average of 1000 visitors were registered. Some arrived on foot while others arrived in buses, each tourist realized without any inconvenience the tours that had programmed in the Inca Citadel. There were long queues and light walks in the town of Machu Picchu Pueblo also known as Aguas Calientes and after a bit of effort the tourists arrived at the bus company Consettur thus achieving and enter one of the 7 wonders of the world. During the event, the national police were responsible for ensuring the safety of visitors. As I explained Astete reached this amount of visitors because some took the alternative route Santa Teresa (La Convención) - Hydroelectric and those who were already in Aguas Calientes since apparently many come to realize two days of tourism. 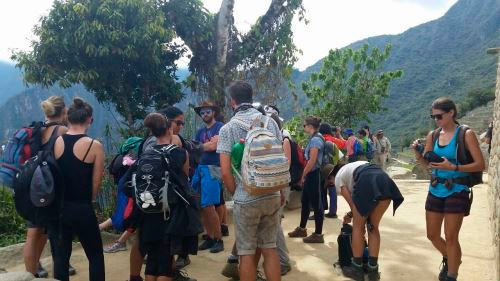 In terms of numbers of reception the citadel usually manages to welcome a total of 3,500 tourists daily and the situation was improving in the last weeks with the arrival of delegations of students who visit the citadel of Machu Picchu by his trip of promotion. On the other hand the demands requested by the Defense Front of the Interests of Machu Picchu (who are the ones who organized the strike) are an improvement in the services offered by the PeruRail train company which apparently is favorable with the tourists but not with The local residents. Make the reservation of your train ticket to Machupicchu with the Travel and Tourism Agency Machupicchu Travel, which has the most complete Tourist Packages to Peru including Machupicchu, Huayna Picchu and Inca Trail, also has the best Hotels in Cusco, not Expect more and make your reservation.